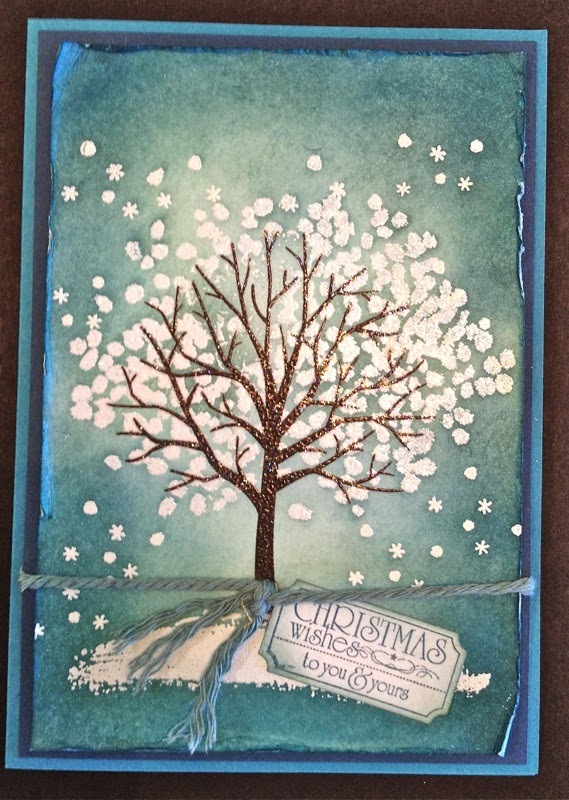 My Sheltering Tree stamp set has been sitting on my desk waiting to be used for a few months now, so with last week's Christmas Card Stamp A Stack, I decided I just had to use it. I'd read during the week how the new juicier Classic Ink Pads from Stampin' Up! 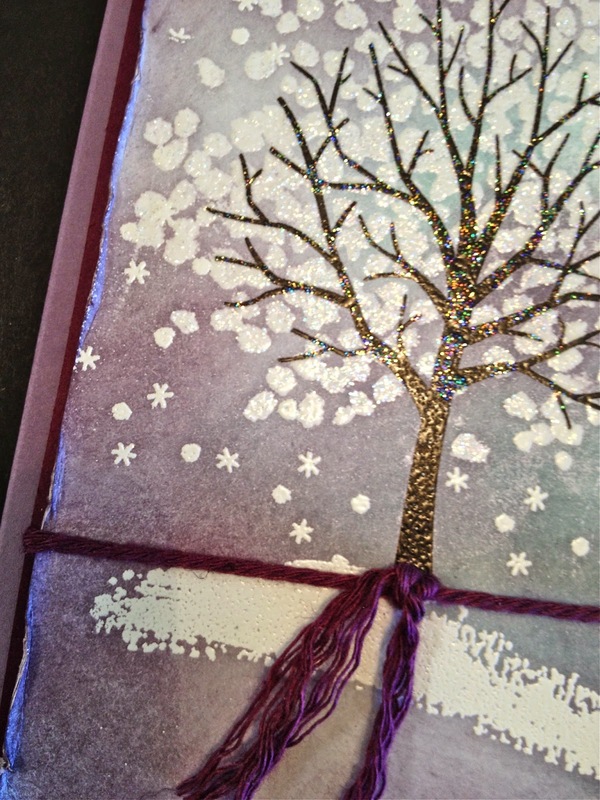 work well with embossing powder, as long as you work quickly, so I thought we should all try that too. 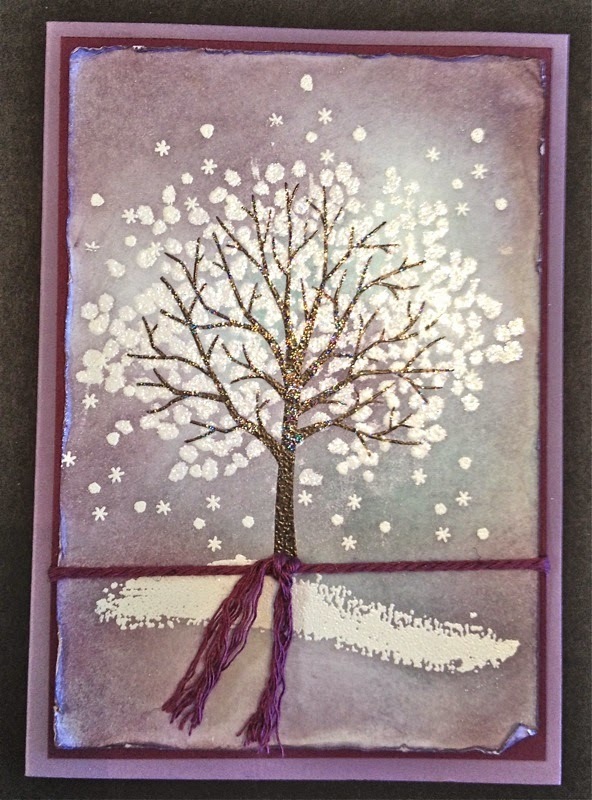 Thinking about the infinite array of embossed colours I could now include in my stamping repertoire, I chose Early Espresso for the tree trunks, stamped it and quickly covered the image with Clear Embossing Powder - it worked well! The variety of elements in this stamp set enable you to create fun cards or traditional cards, and for this one I erred on the traditional side. 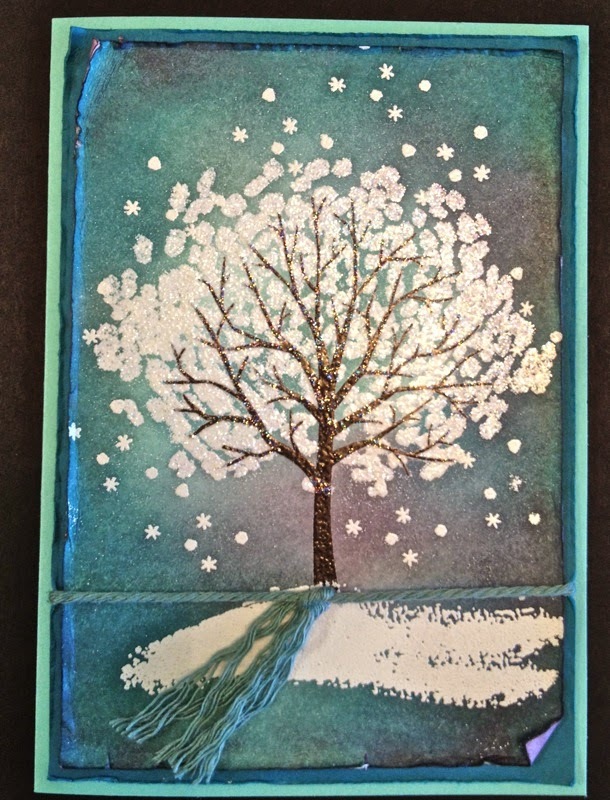 The snowflakes and the ground are heat embossed in white and the tree foliage is heat embossed with Iridescent Ice Embossing Powder - just to give a subtle bit of bling to the card. From there I just sponged on the colours taking care to keep the darker colours to the outside edges of the card. I distressed the card edges and wrapped some of the Sale A Bration free product - from the new March brochure - around the lower half. This is the Blackberry Bliss Thick Bakers Twine - Love it! Sponging gives lovely subtle colour changes - you just need to be a little careful when using dark inks. Buff over the top of the embossed images to remove any excess ink from those surfaces. You'll find a list of the items used in these projects below. Feel free to shop at my on-line store to receive your products delivered to you.